The new ELCA Federal Credit Union, with offices in the Lutheran Center Building in Chicago, will soon be open for business. The grand opening celebration will be Monday, June 6. ELCA members, congregations, synods and the church-wide organization—and their employees—are all eligible to join the credit union to take advantage of a portfolio of deposit accounts, loans and other services. This new ELCA-sponsored credit union supports the ELCA’s mission to promote responsible stewardship of members’ and congregations’ financial resources. Because this is a financial cooperative, credit union members will see more competitive rates on deposits and loans, fewer fees and enhanced services. Learn more by visiting the credit union website, elcafcu.org. As a financial institution rooted in your faith community, the ELCA Federal Credit Union looks forward to serving you. Please join us for a special one of a kind event at Good Sam at 10:30 am on June 14th. We want to share some stories about what is happening at Good Sam these days financially and in ministry. There is so much to be thankful for and at the same time we are in a challenging crisis. So we have a special community story time to share and talk with you about what is happening at Good Sam right now in our life together. My family really cares about our life together at church. We enjoy making our offering each week when we come. Yet we have struggled to keep our giving up when we don’t make it to church or are away on vacation or travel. I don’t know why it took us so long to make our regular gift to church through Bill Pay at our local bank. It is so easy to set a regular amount that is automatically sent each month on the same day. It has really helped us feel more faithful about our giving to church. It has also helped us go a little beyond our usual giving. When a special event we wish to support comes along we feel more confident in our giving and we feel we can make a difference. Feeling able to make a difference really is an encouragement to our faith and faithfulness. 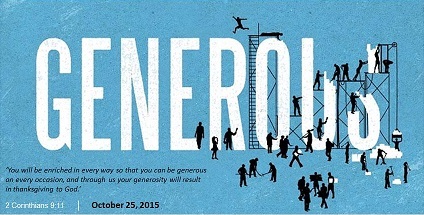 We invite you to think about joining us in giving your regular offering to church through Bill Pay or Simply Giving. 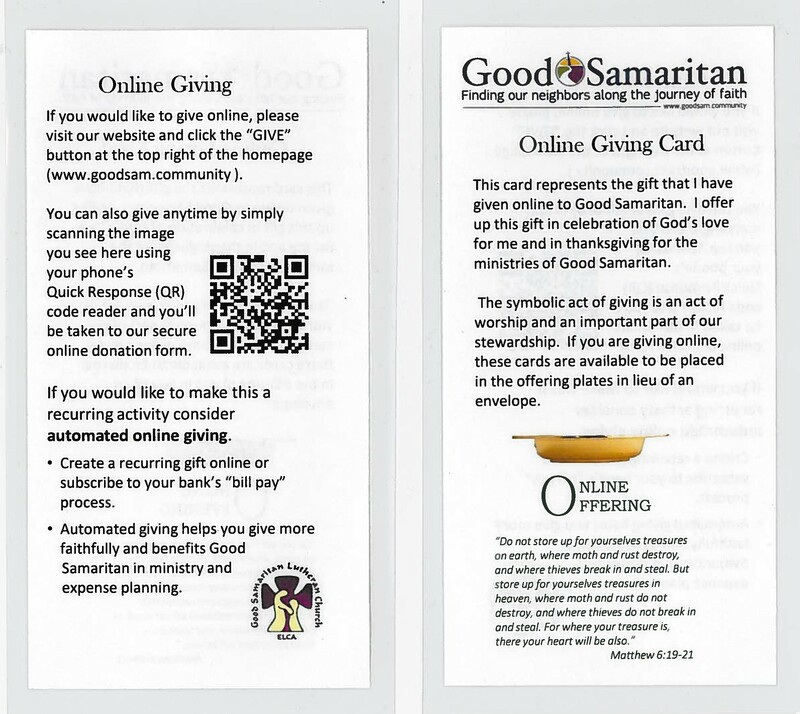 Talk to Rich S. about this automated giving opportunity by emailing financialsecretary@goodsamlutheran.com. Vacations have started and at Good Sam we are indeed in summer mode. We pray your relaxing, traveling, sunning, and time with family are truly recreational. While you are away this summer we hope you won’t forget Good Sam. Our ministry together runs on the dependable participation of our whole community. This last Sunday as attendance was understandably down (83) for early summer, so was offering to the general fund ($1,504). To so many of you who are up-to-date with your giving and to those of you who have gone above your planned commitments – Thank You So Much! It does help that there were five Sundays in June too. On Sunday, March 2, your Congregational Council will host a Family Meeting to share information about the ministry goals we have adopted for this year, and also bring you up-to-date on our financial situation. Family Meetings are opportunities to engage in dialog and learn more about what is happening in the life of our congregation. As in the past, one Family Meeting opportunity will be during our Adult Forum time from 10:30 to 11:30. Since many of you are involved in teaching or assisting with Sunday School classes during that hour, we would like to offer an additional chance to engage in dialog beginning at 8:00 am (recognizing that’s an early start). We will also publish notes from the discussions for those who may not be able to attend either opportunity in person. Please join the conversation!